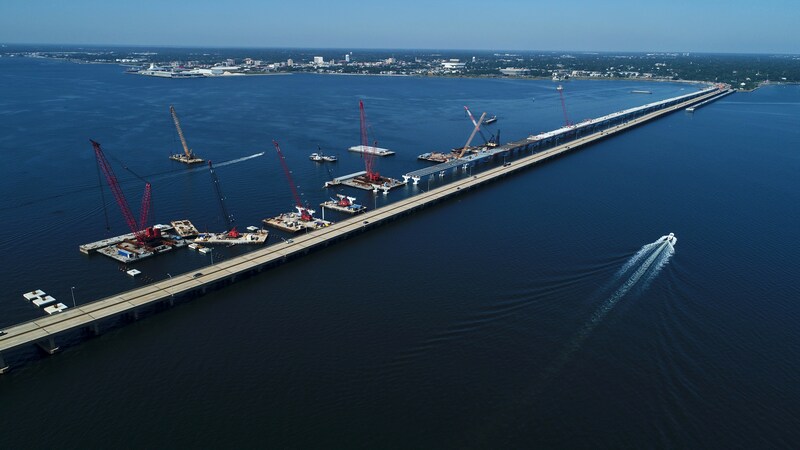 Cranes are the “workhorses” of the Pensacola Bay Bridge replacement project. They’re used to load the heavy concrete construction components (e.g., piles, trophy pieces, beams, etc.) onto barges at the Bayou Chico casting yard and to lift them into place once they arrive at the bridge construction site. 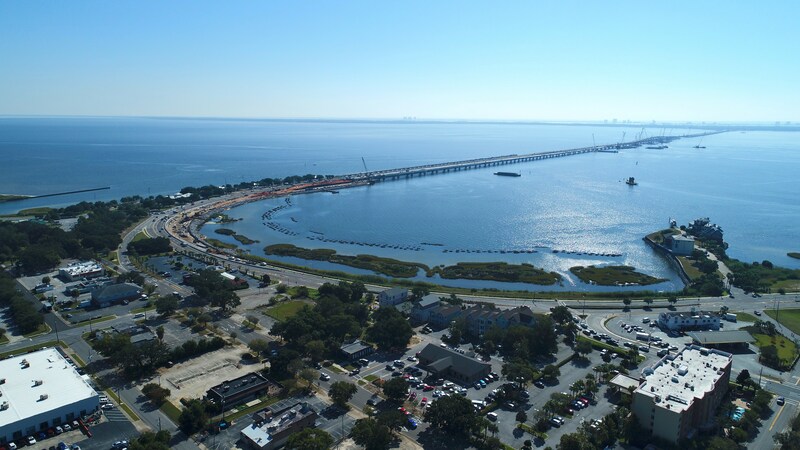 Construction work on the new Pensacola Bay Bridge was suspended Monday, Oct. 8 due to the approach of Hurricane Michael. 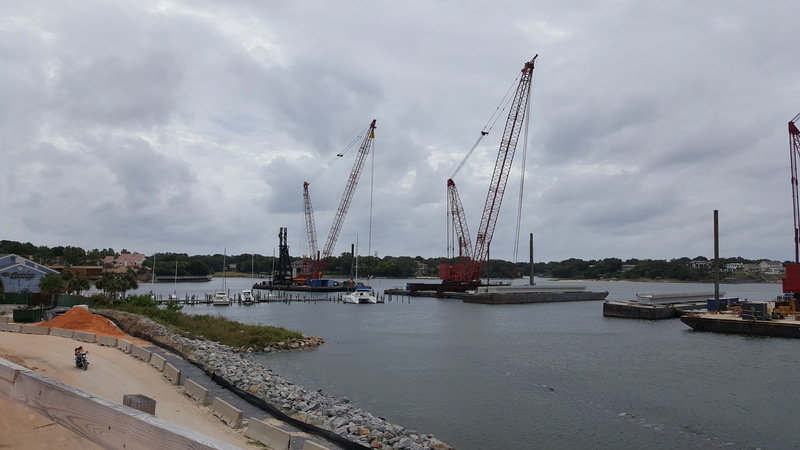 Crews began moving water-borne construction equipment to safe harbor and preparing travel lanes for a possible evacuation.